Well, that didn’t take long. 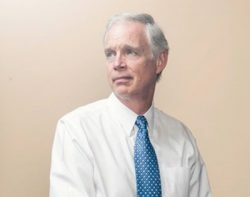 Wisconsin’s Senator Ron Johnson barely renewed his oath of office before violating it. Unfortunately, the very first bill to be considered by the United States Senate was not intended to deal with an American problem, such as the deficit, border security, or re-opening the government. It was legislation to defend the government of Israel from economic pressure to end its policies of apartheid, repression, racial discrimination, and violations of international law. The type of economic pressure which helped end apartheid in South Africa. A bill which encourages states to adopt the very same anti-boycott laws that two federal courts blocked on First Amendment grounds. Now the message to Americans is that they will be penalized if the dare to disagree with Israel. Not every senator agreed with the bill. Senator Rand Paul, the lone Republican who voted against the bill, said the right to boycott is an essential part of free speech as guaranteed by the First Amendment of the Constitution. “It is a fundamental aspect to freedom; to be able to dissent, to protest, even when everybody thinks you’re wrong.” Senate Bill 1 passed and goes on to the House of Representatives. U.S. citizens expect to be able to peacefully express their political opinions without being punished by their government and the United States used to provide a good example for other countries. The right to organize boycotts, to marshal economic pressure to effect political change, is protected under the First Amendment,” explains the National Lawyers Guild.